Tamil Actor Arya who impressed us all with his acting skills in the movie Raja Rani seems to be elated. The reason behind his joy is that his dear brother has tied a knot. 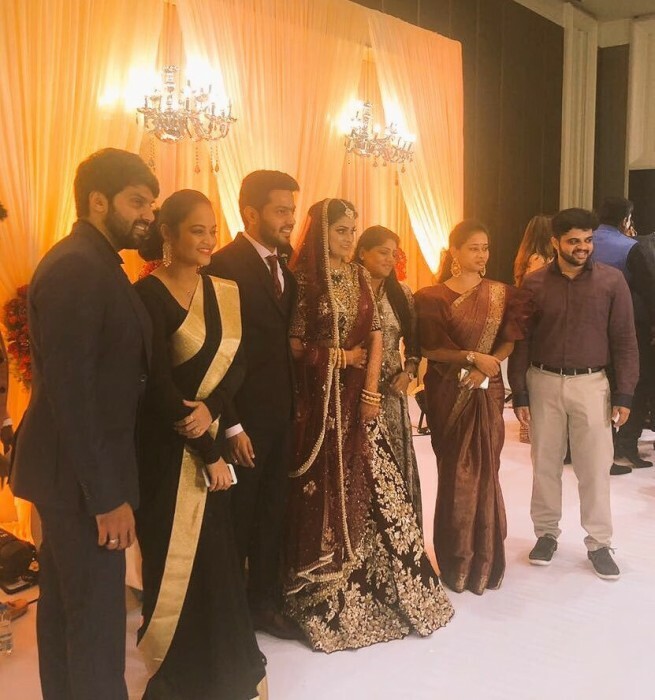 Actor Arya’s brother, Sathya, got married recently. 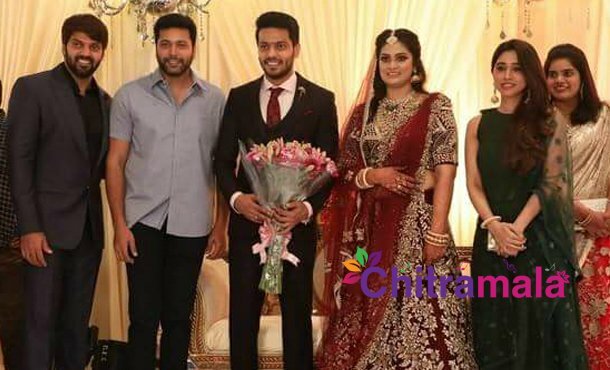 The wedding function which was arranged in Chennai was graced by many Tollywood and Kollywood actors and technicians. Simbu, Jayam Ravi, and Sayyeshaa were there at the event, sharing the joy with Arya. Actor Shaam, popular host and actor Dhivyadarshini and many others too attended the event. They were seen enjoying each other’s company, cracking up jokes and having a very good time at the wedding event.